The trip began by us taking a long minibus ride to Leavesden, which is near Hertfordshire. When we arrived at our destination we started by getting an understanding of what we should expect to see when we go inside. As we queued up we slowly approached a room where we had another talk telling us what we would find out in this room, which was how the book became a big British movie. We then moved into a cinema where we watched a short video of Daniel Radcliffe, Rupert Grint and Emma Watson talking about their experience of being part of the Harry Potter movies and what they had to do on a day-to-day basis as they grew up with the other people in the movie. The screen then lifted and behind was a door that took into the first set which was a dining room where they would eat when in Hogwarts. Within this we got to see the different clothing that the different teams wore such as Slytherin and Gryffindor. We also saw the clothing that the teachers wore such as Hagrid. We then moved through to the next room where we got to see other sets used such as the bedrooms and Dumbledore’s office. You also had the opportunity to ride a broomstick or imagine you are Harry by having a wand experience with one of the staff members at the studio. After leaving this room we were able to go on the Hogwarts Express and see what it looked like inside. Some of us even had the chance to experience Butter Beer at the Backlot. After we had left the Backlot we had the opportunity of getting into the small blue car that has been used in many of the movies and also being able to see what Harry’s house looked like. We then moved onto the creature effects where we saw how different creatures in the movie were made such as giants and other small creatures. We then took a walk down Diagon Alley and saw some different models of Hogwarts and other places. Finally we went into a wand room where there were many different wands with different peoples names before taking the minibus back to school and us departing on our journeys home. A group of sixth form media students, including myself visited the Warner Bros. studios where we were guided on a three hour long tour of the high concept film, Harry Potter, which is considered a global success and also has a cult following. The tour started with a cinema showing of the producers and directors of the film series introducing us to the world of Harry Potter and the international success it has received. 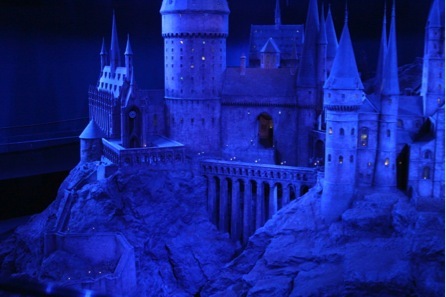 This was a crucial part of the tour as those who were unfamiliar with the Harry potter films were able to experience the sheer joy of those who are obsessed with the books and films, heightening how much the global franchise is loved by the world as international film posters were also displayed on the various screens. As a group we then began the self-guided tour of the Harry Potter set where we discovered several props and sets that were used in the Warner Bros. studios during the making of the film series. This was a surreal experience as everything I had experienced from watching Harry Potter as a child to present day was there for me to see in reality. Seeing the potions, various costumes from beloved characters, made the tour an amazing experience as it created a sense of nostalgia for me, remembering long-forgotten props such as the time turner necklace. My Harry Potter experience was escalated as we were given a passport including stamps that each individual had to collect around the studio, along with hidden golden snitches that we had to find, making the experience more of a fun treasure hunt than a formal tour. Next, we visited the train set where we were able to view the famous train scenes, which are evident in all of the Harry Potter films, and we were also able to take part in a train simulation, imitating the train journey to Hogwarts. We also took pictures on platform 9 ¾ which was fun. Additionally, the group was able to purchase confectionary from the Harry Potter shop that exist in the films such as chocolate frogs and jelly beans, however they were too overpriced. Furthermore, we had the opportunity to try butterbeer, which I actually quite enjoyed, although not everyone liked the creamy fizzy drink. Lastly, we visited the prop set which was a unique experience as props such as the giant spider, and various other weird and wonderful creatures were on display as well as wax models of the protagonists such as harry and Hermione- before finally viewing the model replica of Hogwarts which was surreal and amazing! The trip started by us taking a minibus from school to the studio, which is located in Leavesden, Hertfordshire. The journey to there took about an hour and 20 minutes. We left school at around 3:40, we arrived at the studio about 5, and the whole tour was 3 hours long. I enjoyed the trip because we had the experience to see most of the props, costumes and mask/make up used in the film. The food was good and there was butter beer, which was featured in the film. We finished the tour at 8 and got back at 9. This trip was interesting because we got to see how Harry Potter was made, and was able top go on the set. We had the chance to view all the costumes that were used, including all the masks, make up and props. 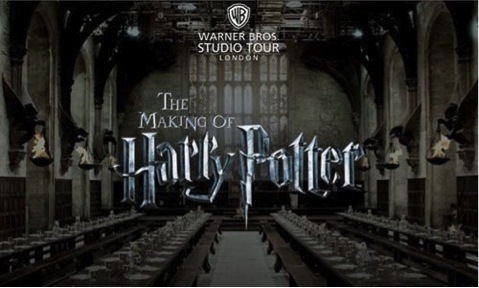 On 13th July 2015, the two year 12 media classes went on a trip to the Harry Potter Warner Brothers Studio Tour. We all know that – unfortunately –the magic that we see in the Harry Potter films is not real, which is why this experience really opened up my eyes to how much effort and work went into the making of Harry Potter. We were guided through the Grand Hall as the entrance to the studios and I have to say, it was fantastic. All of the Houses with their uniforms were displayed beside the long tables. At the end of the hall, the main staff of Hogwarts were displayed there with their costumes. In the films, the celling is spellbound, whether snow it be falling from it, or the stars be visible. However, in the studios, you’d look up at the celling and it is all lights and nothingness. This was one of the many thought provoking examples of how much the special effects team put into editing the hall to make it look spectacular. It really makes you realise how much time and effort it must have taken to create the beautiful images which we see onscreen, as being a media student, compiling a short film is difficult enough. Through our trip, we were shown the sets and the props that were used in the films, for example all of the prosthetics for the animatronics as well as the actual wands used by the actors and the smaller props that you wouldn’t necessarily notice unless you pay close attention to detail. The wondrous world of Harry Potter really came to life for me when I saw some of the many props that you would otherwise consider irrelevant in the film, all displayed in a huge cage. Some of these consisted of the Philosopher’s Stone used in the first film and the Time Turner used in the third film. Not only this, but the smaller props such as the medicine “Skele-Grow” used in the second film. Halfway through the tour, we had the opportunity to try some (very overly priced) Butterbeer and to walk on the Covered Bridge for a photo opportunity. As well as this, we were able to – half – board the Knight Bus and some of us had the opportunity to fly on a broomstick… almost. The overall experience was one that I know I’ll never forget, and it was incredible to see how the set was made and all of the props and the actual post production side that went into it. All of the staff were so happy and welcoming which enhanced the experience for all of us. I am so glad to say that I have taken away a lot from what I have learnt at the Warner Brothers Studios and even though the magic from what I believed in my childhood is gone, the real magic is the effort and brilliance of all of those who helped to work on the Harry Potter films, to create an incredible illusion, “so whether you come back by page or by the bug screen, Hogwarts will always be there to welcome you home” – J.K Rowling.